Mary Agnes Montgomery was born on 17 January 1906 at Anacostia, Washington, District of Columbia. She was the daughter of Charles Jerome Montgomery and Mary Louise Force. Mary Agnes Montgomery married Bernard Simms Spalding, son of Ignatius Simms Spalding and Mary Agnes Russell, on 11 January 1923 at Baltimore Cathedral, Baltimore, Maryland. 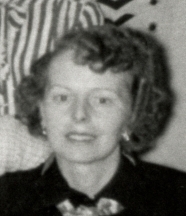 As of 11 January 1923,her married name was Mary Agnes Spalding. Mary Agnes Montgomery died on 26 October 1986 at Washington, District of Columbia, at age 80. She was buried on 1 November 1986 at Fort Lincoln Cemetery, Brentwood, Prince George's County, Maryland.